On September 5th, an expedition commences for one man to scale new heights for a much-loved charity. RPS Managing Director Gary Hudson is in the final stages of training before embarking on his adventure to climb Mount Kilimanjaro. The decision to scale Kilimanjaro – the largest free-standing mountain in Africa reaching 5,895 metres – was inspired by OSCAR’s Paediatric Brain Tumour Charity, which provides support for patients and their immediate families. The charity is the legacy of nine-year-old Oscar Hughes who passed away after suffering from a brain tumour. 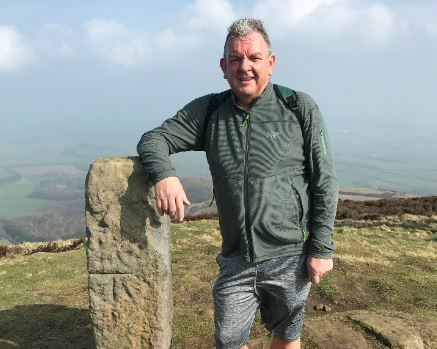 Since May this year, Gary has helped raise a staggering £7,000 for the cause by hosting two events including ‘Strawberry Fizz’ and an ‘Auction of Promises’. He’s now hoping to smash his £10,000 target and you can support him by pledging your donation. The RPS team wishes Gary the best of luck with the final stages of his preparation and we can’t wait to see how he gets on with the challenge. Follow us on Twitter @RPS_Limited to stay up-to-date with Gary’s journey.